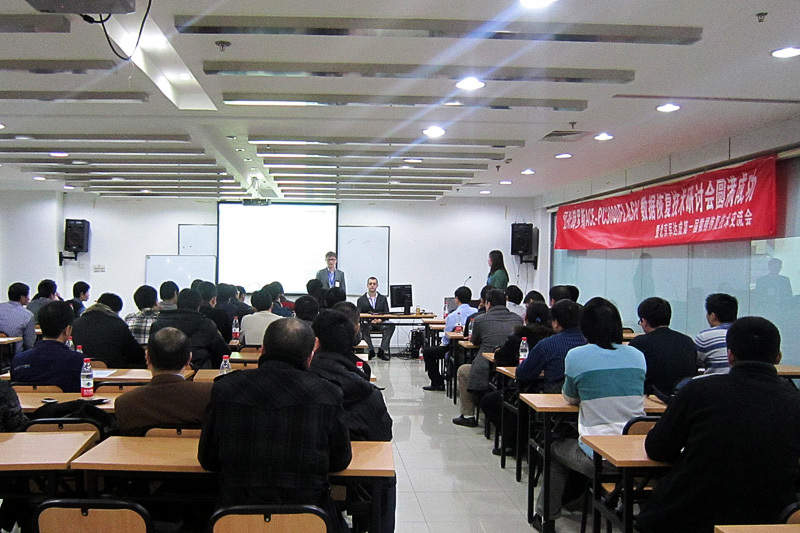 The first Open NAND Technology Conference was held in Beijing, China on the 14th of December 2011. 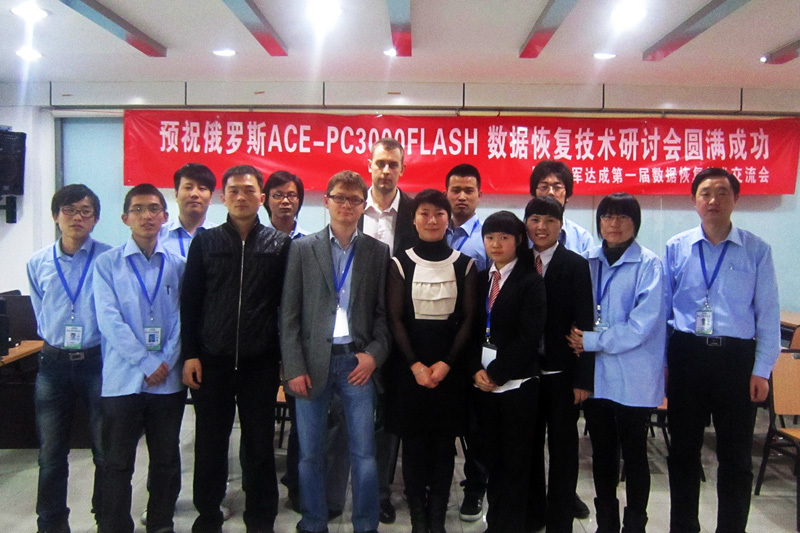 ACE Laboratory company together with our distributors from China - Beijing JunDaCheng Technology Co., Ltd. company conducted the first open technology conference on efficient application of the latest ACE Laboratory technologies to recover data from damaged SSD and Flash drives. 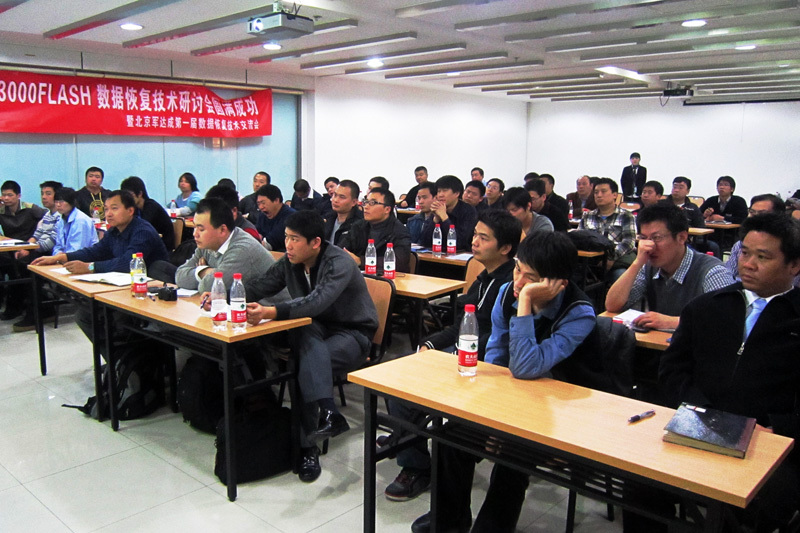 The conference was carried out on the 14th of December in Beijing for data recovery specialists from China, including private companies, governmental organizations and technicians working individually. 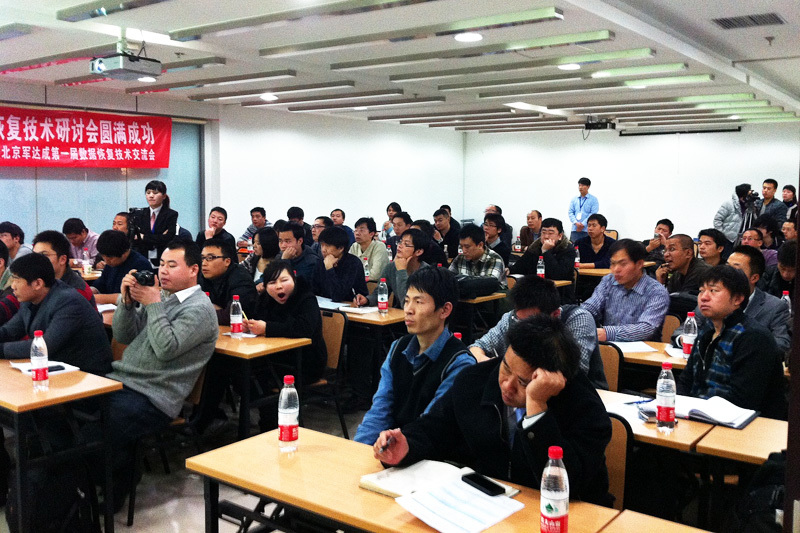 Within the boundaries of this event our engineers held technological debates and round tables with professionals of Chinese data recovery market on current problems in NAND industry and did researches into its prospects. 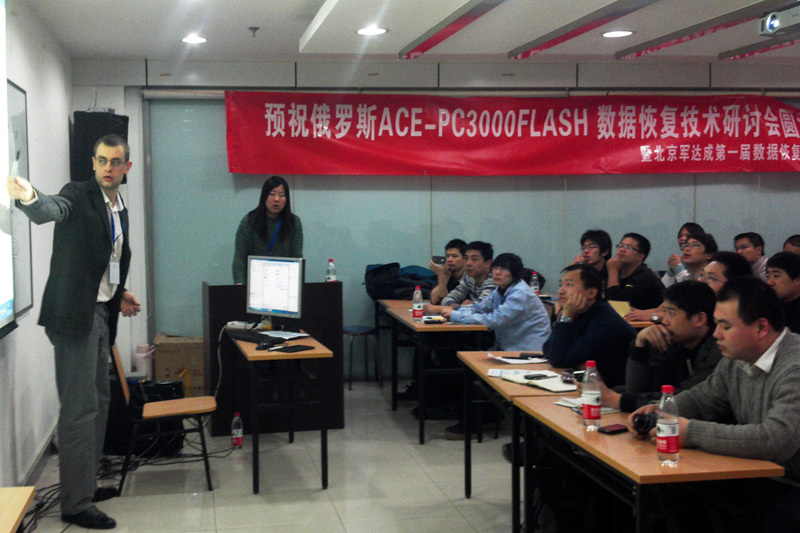 Along with it, they gave training to the beginners in data recovery and taught them the fundamentals of NAND technology and techniques of correct work on PC-3000 Flash SSD Edition and other ACE Laboratory instruments. 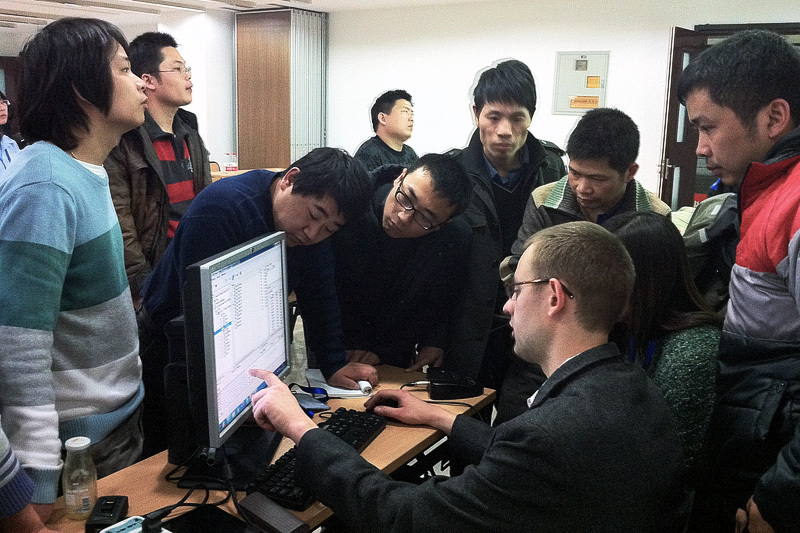 The results — specialists from China have got plenty of new opportunities for their everyday work and our company has received unanimous acknowledgement that we have chosen the correct way to develop NAND technology. Such results evidently show the success of this technology conference and enable us to plan and organize such events in future!